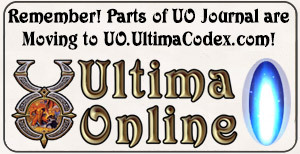 All the Ultima Online News That's Fit to Inscribe! It’s been far too long since I did a player-run establishment spotlight – Windamere Keep was the first and only proper one. I was doing a bunch of wandering tonight, and came upon The Silver Arrow, one of the centerpieces in the player town of Tel’Ruid, a player village founded by Tel’Mithrim, a guild of UO players that actually predates UO by several years. It’s interesting that as UO celebrates its 15th year this year, Tel’Mithrim is celebrating their 20th year as a guild. They are probably the oldest guild in existence in the world, since their history stretches back to their founding in August of 1992, when they were established as The Grey Company, a role-playing guild in Neverwinter Nights. Neverwinter Nights was a multiplayer game played through America Online…not quite the MMORPGs we are used to today. In December of 1993, they were named as the largest and most successful guild in Neverwinter Nights, and in 1995 they were merged with two smaller Elven-oriented guilds, LER and the Elven Brotherhood, bringing the membership to around 60. Ironically, shortly before Ultima Online officially launched, Neverwinter Nights was shut down by America Online. This was a mixed blessing as the guild successfully made the transition to UO, although some were unable to. They settled in Yew, on Lake Superior, and have been there ever since, making the transition to Trammel when it opened up. I’ve been through this area many times, and used to even spend a lot of time in-game with quite a few members several years back, going back to I believe 1998 or 1999. I’m pleased to see them still there east of Yew. Tel’Ruid is a village governed by Tel’Mithrim, a guild comprised of Elves on the shard of Lake Superior. It is a small, but close-knit community of several dozen individuals, all of whom share the Elves’ general values. Located deep in the forests east of Yew, the village is a safe haven away from the crowded cities of Britannia. There are actually multiple houses related to Tel’Mithrim/The Grey Company, and in fact some are designed to overlap/”connect” in a way that makes multiple houses look like a single home. 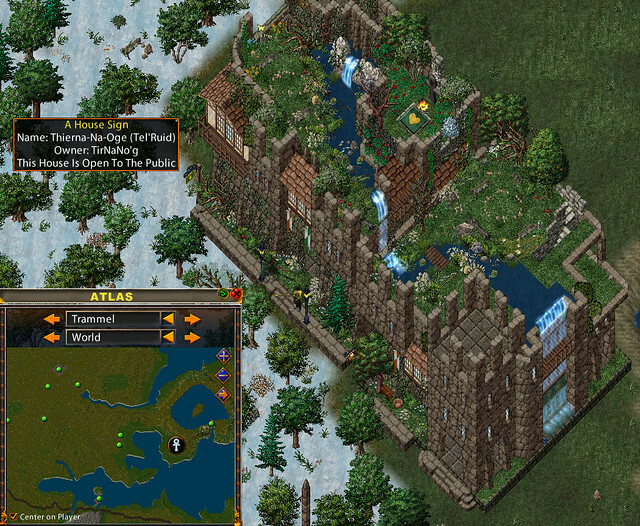 Does Anyone still play Ultima Online for EA? If so what shard is most populated? We are Not the Future of UO. Hell, We are Barely the Present. Still Having Account Management Problems? Stuck, Having Problems with Account Migration? Day 4: Remember Enchantress Emily? All content, except where otherwise noted, is © UOJournal.com 2010 - 2012. 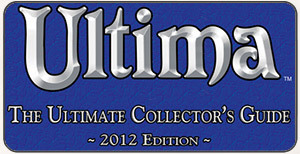 Disclaimer: Ultima Online, ORIGIN, and the Ultima Online and ORIGIN logos are trademarks of Electronic Arts Inc. Game content and materials copyright 2012 Electronic Arts Inc. All rights reserved. This site is not endorsed by Electronic Arts, BioWare, or its licensors. Trademarks are the property of their respective owners. Game content and materials copyright Electronic Arts Inc. and its licensors. All Rights Reserved.